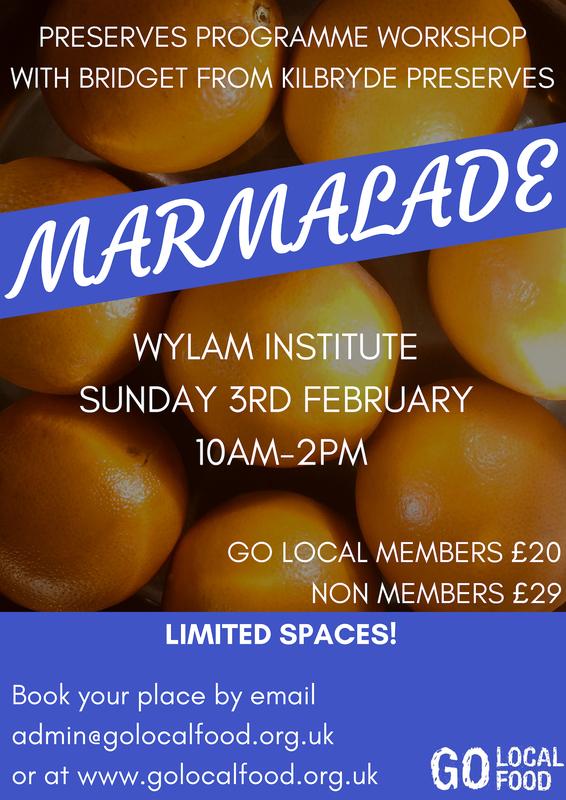 Join us for a Marmalade workshop at Wylam Institute. It’s the perfect workshop for the marmalade lover in your family. There are a limited number of places, £20 for GO Local Members and £29 for non members. You can book by emailing us at admin@golocalfood.org.uk or by using the PayPal button below.